Fitness trackers are still the most popular piece of wearable tech for Brits, despite smartwatches almost closing the sales gap entirely last year. That's according to new research from Mintel, which indicates that sales of fitness trackers increased 16% year-on-year, with an estimated 1.99 million devices being moved in 2017. Smartwatches, meanwhile, experienced a greater sales increase — up 23% on the previous year — with roughly 1.96 million shipped in the same period. "Fitness tracker growth is estimated to have slowed, as consumers begin to demand more functionality from their devices. In contrast, smartwatch sales are estimated to have grown, in part due to the entry of fashion brands into the smartwatch market. Looking ahead, smartwatch ownership is likely to overtake basic fitness trackers." says Andrew Moss, a technology analyst at Mintel. And with the numbers from Mintel suggesting that the gap is already small, smartwatches could take the lead as early as this year. Especially considering the estimate that around 32% of Brits would prefer to purchase a smartwatch over a fitness tracker/sports watch (29%) and a clip-on activity tracker (27%). Interestingly, figures from the firm also highlighted that 28% would leave their smartphone at home if a smartwatch could offer the same functionality, such as making calls, messaging and playing music — something we've seen slowly emerge in Android Wear devices and most recently through the Apple Watch Series 3. This figure increases to 36% of 16-24-year-olds and 40% of 25-34-year-olds. All in all, these figures speak to the same trend we've seen developing in all markets over the last 12 months. 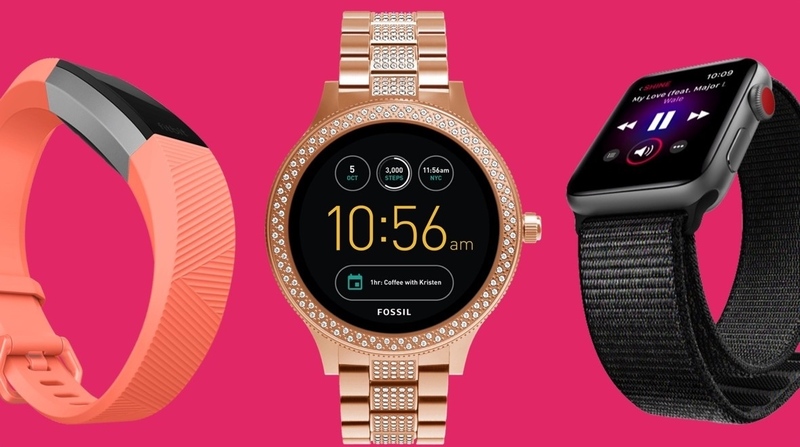 As smartwatches continue to expand their capabilities and people begin to demand more than basic step tracking, the market naturally readjusts. In all likelihood, smartwatches could complete their eclipse of fitness trackers in 2018.